Allison White is the first transgender candidate to run for Virginia Beach City Council. 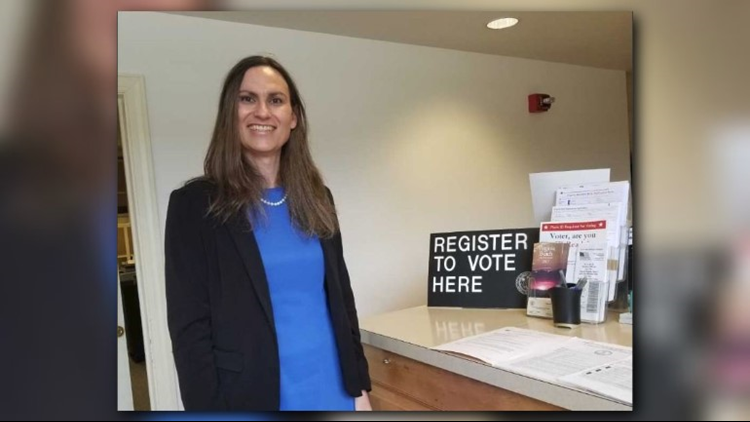 VIRGINIA BEACH, Va. (WVEC) -- A teacher will be the first transgender candidate ever to run for Virginia Beach City Council. Allison White, who teaches at King's Fork High School in Suffolk, announced her candidacy on Thursday. She established a Facebook page for her campaign. ”I am running for Virginia Beach City Council At-large to make education a priority. As a teacher, I believe that we should make the investment into our future to create opportunities for the city," White stated. White, 45, has been a teacher at King's Fork since it opened in 2004. She has been a teacher with the International Baccalaureate program for 10 years. She informed her colleagues and the school administration of her transgender status in August 2017 and has cited that staff and students have been supportive. The word "transgender" can be used to describe people whose gender identity is different from the gender they were thought to be when they were born, according to the National Center for Transgender Equality. Allison White, a teacher at King&#39;s Fork High School in Suffolk, would be the first transgender person to run for Virginia Beach City Council.